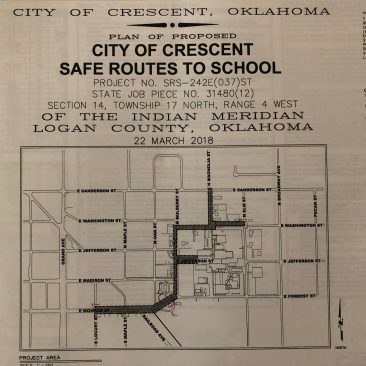 After nearly 6 years of work by Mayor Greg Cummings, the city has received a Safe Routes To School grant offered by the Oklahoma Department Of Transportation. The Safe Routes To School program is designed to substantially improve the the ability of primary and middle school students to walk and bicycle to school safely. 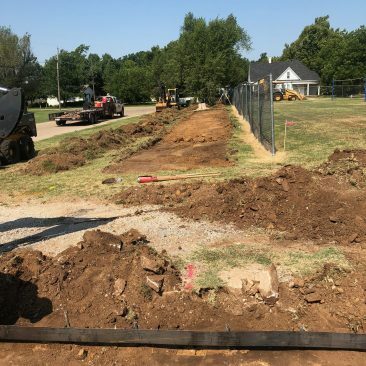 The City paid for a portion of the engineering costs associated with the project, and the Oklahoma Department of Transportation is funding the remainder of the engineering as well as all of the construction costs of the project. The project was put out for bid, and the winning bidder, Tom Husdon Paving out of Guthrie, was awarded the contract. 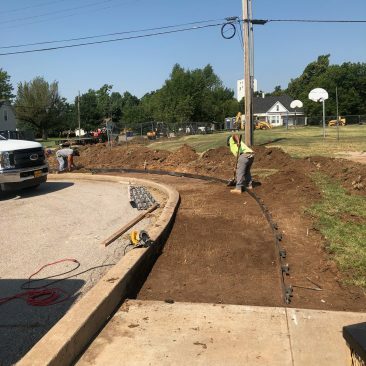 The project will add sidewalks from the west entrance of the school, down East Jefferson street to Mulberry. The sidewalk will continue south to the Log Cabin Library and north to Washington, east to Magnolia, then continue north to Sanderson. 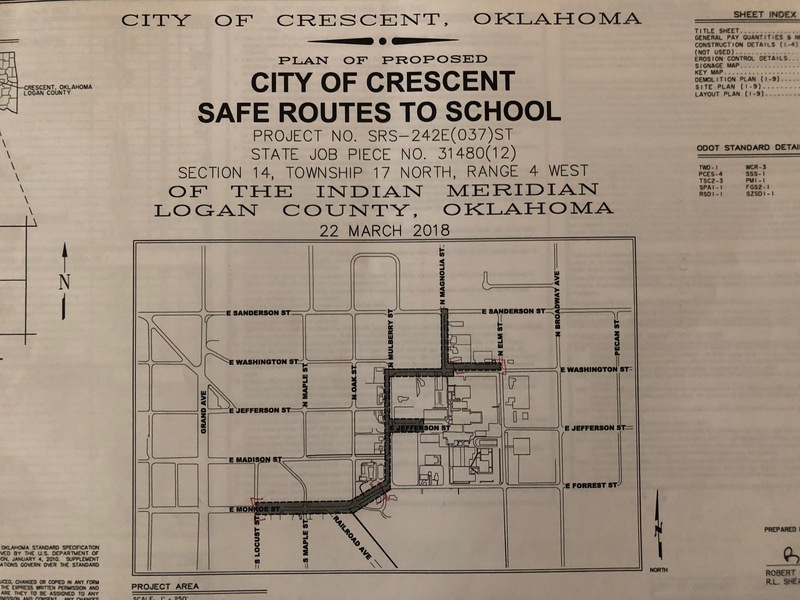 There were 2 alternate sections of the project that were outside the scope of funding, but the city plans to submit another grant application in the next round of Safe Routes To Schools funding. At that time, we hope to connect the school with the West side of town via a crosswalk at Monroe and Grand. 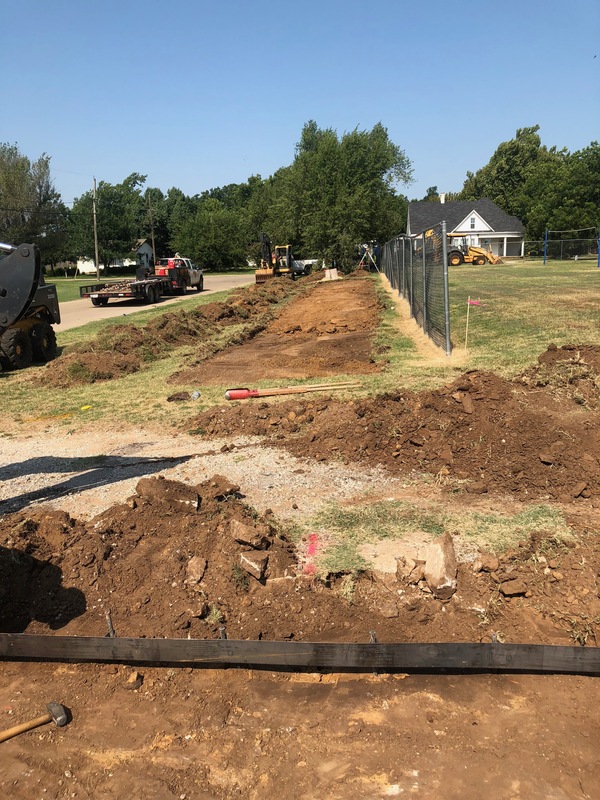 The project has started at the middle school, so that construction activities closest to the school will finish before the start of the school year. The project is expected to take 2 months to complete. 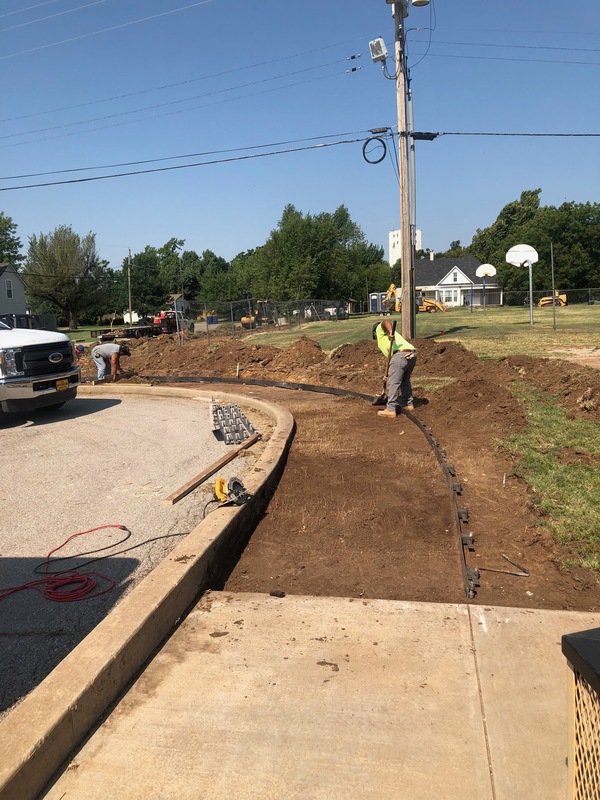 The project includes ADA compliant crosswalks with lighted flashing signs and pavement marking along with other features designed to keep our kids safe. More to come… For now, please enjoy these pictures of the beginning of the project at the Middle School.